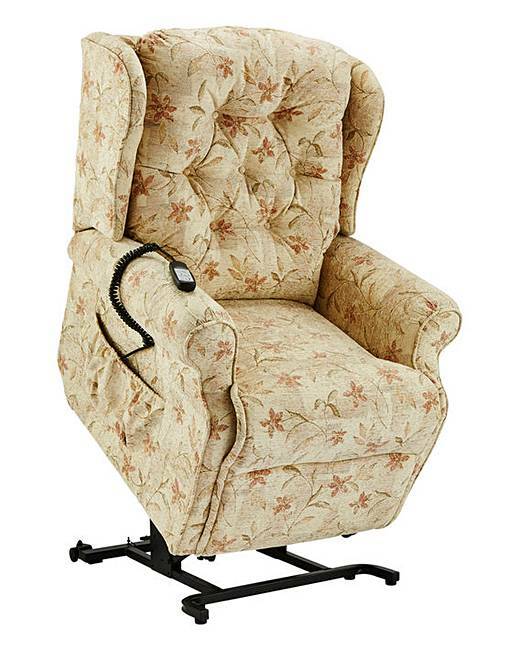 Evesham Lift and Tilt Recliner Chair is rated 5.0 out of 5 by 2. 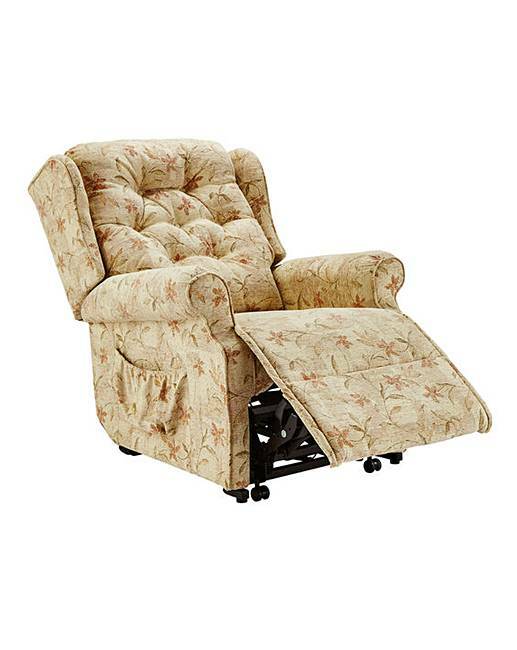 This lift and tilt recliner features traditional styling and detailing. 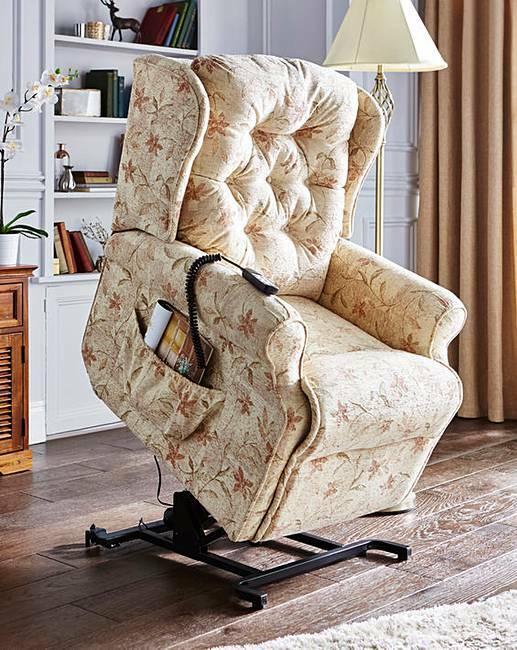 It is a 360° recliner with a dual motor, offering close to wall proximity to accommodate any room configuration and has effortless motion for easy operation. Manufactured from a hardwood frame which is glued, screwed, dowelled and stapled. The result is a frame that is precision built, durable and long-lasting to provide a strong foundation. 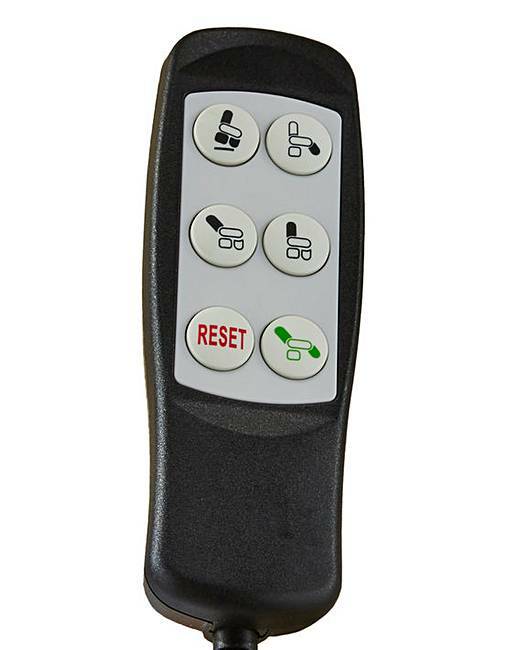 High quality, high density foam seat cushions ensure a comfortable sit. 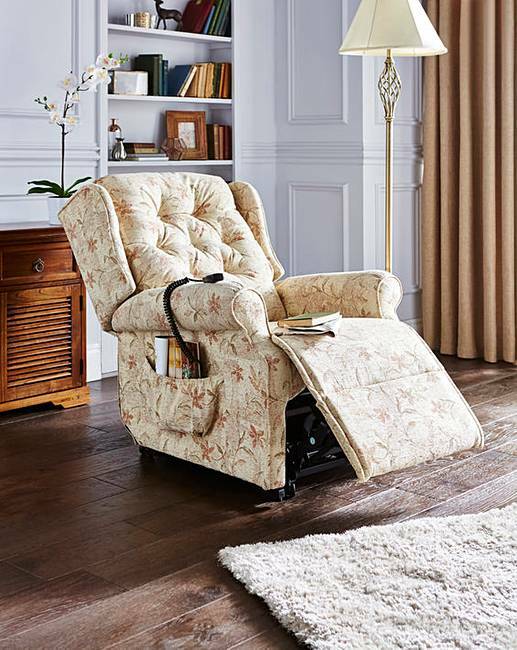 Additional features include duvet added to the front of the seat cushion, ‘easy exit’ upright back, non-removable high quality blown fibre back cushions, and compact chair proportions with narrow arm feature. 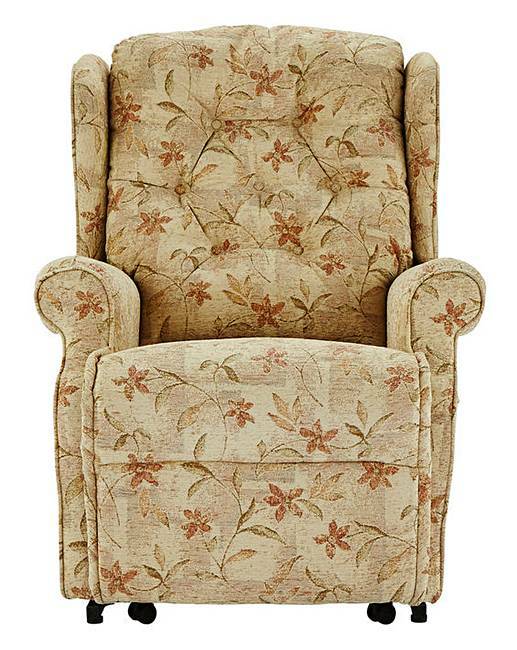 This item is part of our plus size living collection. It has been carefully selected to provide additional strength and durability to our standard ranges. Made in the UK. Comes with a 2 year manufacturer's guarantee. Please click on the 'More Info…' link below to request a FREE fabric swatch. 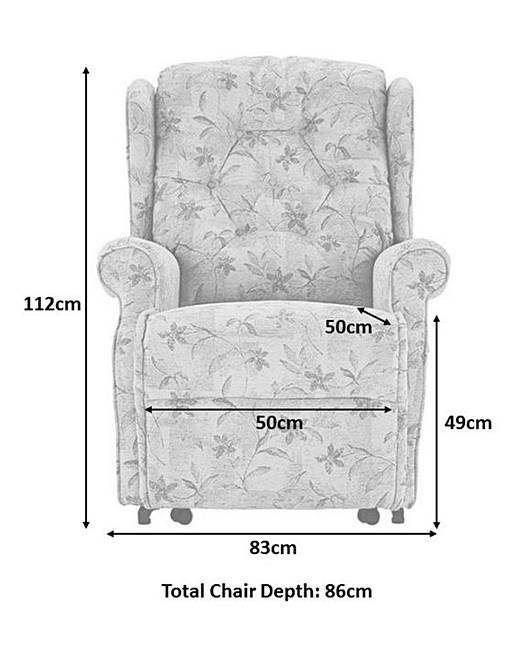 H.105 x W.80 x D.105cm. Seat height from floor 49cm. We aim to deliver your order within 8 weeks, providing that the items are in stock at our own warehouse, or by the time indicated if being despatched directly from our supplier, larger items requiring 2 man delivery will be booked in for delivery by the carrier after despatch. 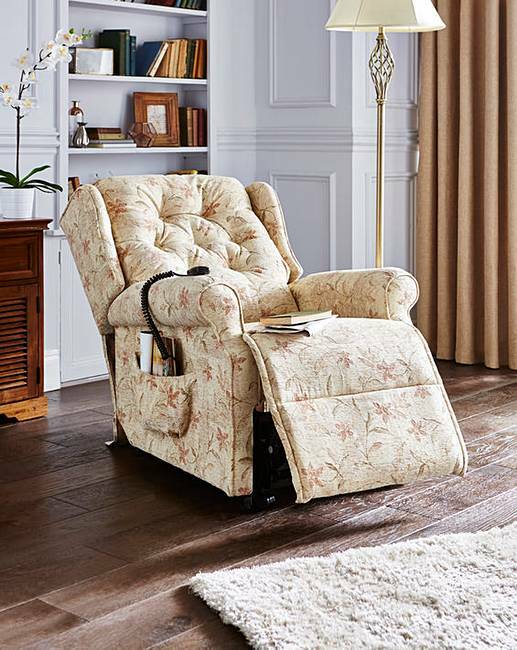 Rated 5 out of 5 by fluteringbud from Evesham chair I just received this chair and first impressions are good. Definitely good for my posture and back . I also slept in the chair last night as am unable to sleep in my bed with back pain. 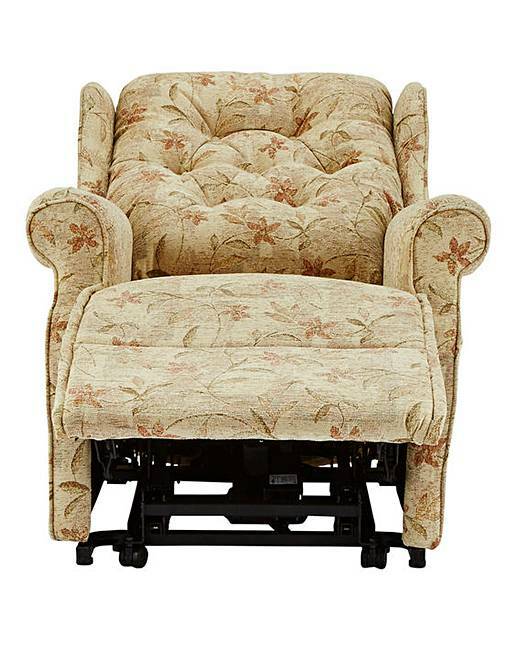 I slept all night without waking once and normally I am awake uncomfortable in the night even in a chair. 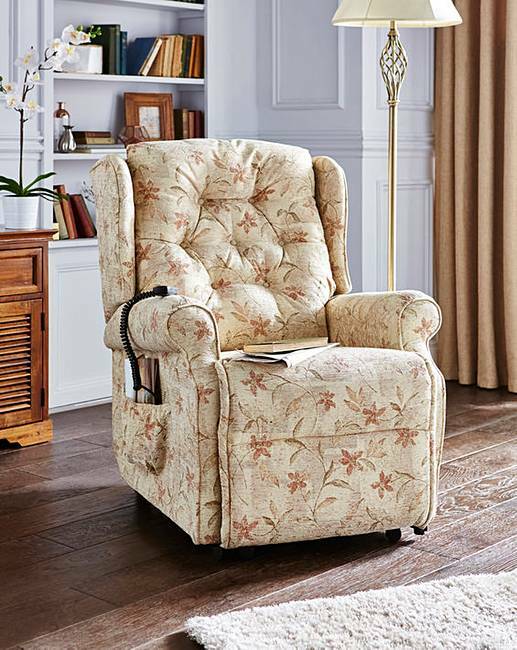 I aIso like the fact that it is on wheels as one thing that puts me of recliners is that they are a nuisance to move for hoovering plus cleaning and that they are heavy. Delivery was also quicker than the time it estimated . I received it in just over a week. I was unhappy with the delivery men. Im don't sure it is allowed but they were rolling the box with the chair on down the lorry. 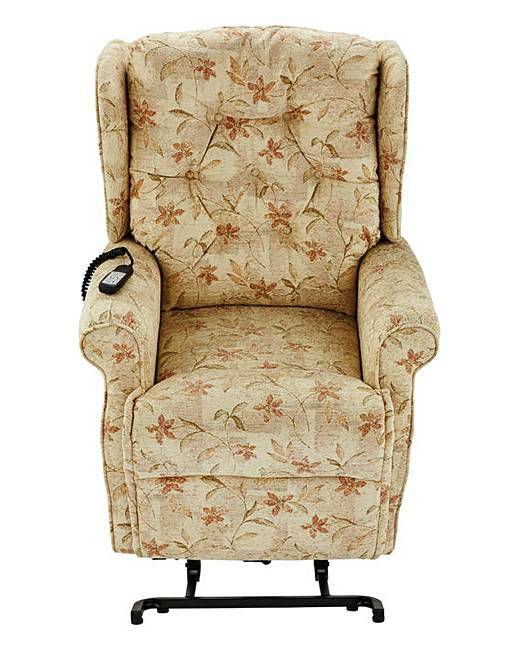 There are some creaks in the chair which I put down to this. They also didn't take it in the house as the box was to big to get through the gate and the door. I called my son to come home with his friend to move it into the house as they said they were not allowed to take it out of the box.